In a 2018 report, the EPA’s Office of Inspector General (OIG) said it found flaws in how the Agency’s Office of Pesticide Programs (OPP) managed the pesticide emergency exemption process authorized by Section 18 of the Federal Insecticide, Fungicide, and Rodenticide Act (FIFRA). Specifically, the OIG said the OPP does not use emergency exemption data to measure how effectively the emergency exemption process maintains human health and environmental standards. Accordingly, the OIG recommended that the OPP develop and implement outcome-based performance measures to demonstrate the human health and environmental effects of emergency exemption decisions. The Office of Chemical Safety and Pollution Prevention (OCSPP), the OPP’s parent office, disagreed with the recommendation, stating that such measures are neither appropriate nor feasible and that the EPA’s current process adequately meets the Agency’s statutory obligations. Section 18 allows the EPA to grant federal and state agencies four types of emergency exemptions to control unexpected pests, invasive species, or other pests that cannot be controlled with registered pesticide products. The exemptions apply in different circumstances and have different durations. For example, a quarantine exemption controls invasive species and has a maximum 3-year duration. A crisis exemption has a maximum 15-day duration. To obtain an emergency exemption, a state lead agency (SLA) submits an application to the EPA. The application specifies the estimated significant economic loss without the expanded use, the total requested application acreage, the requested application rate and other parameters of use, and other information. In most instances, the applicant requests approval for the expanded use of a pesticide that has already been registered by the EPA for other uses. Because of the existing registration, the review time for the short-term emergency use is significantly reduced compared to the full FIFRA registration process. The OPP tries to review and approve most emergency exemption applications (other than crisis types) within 50 calendar days of receipt. As long as the situation meets the emergency exemption criteria, SLAs may reapply for a repeat exemption. 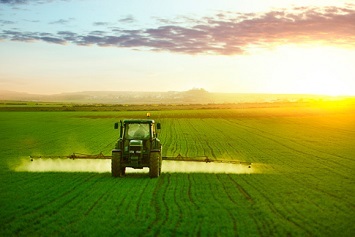 However, if there is a continuing need for a pesticide for an unregistered use, the EPA expects the manufacturer to move to obtain registration for that use; absent such an effort, the Agency may refuse to grant the emergency exemption. The OIG reported that the OPP uses emergency exemption applications to collect data on the applicant, site, pest, chemical, received date, response date, expiration date, and status. Applicants are also required to report to the OPP on certain outcomes such as the number of acres to which the exempted pesticide was applied. The EPA added that it had no plans to implement the OIG’s recommendation regarding outcome-based performance measures. The OIG’s report is here.